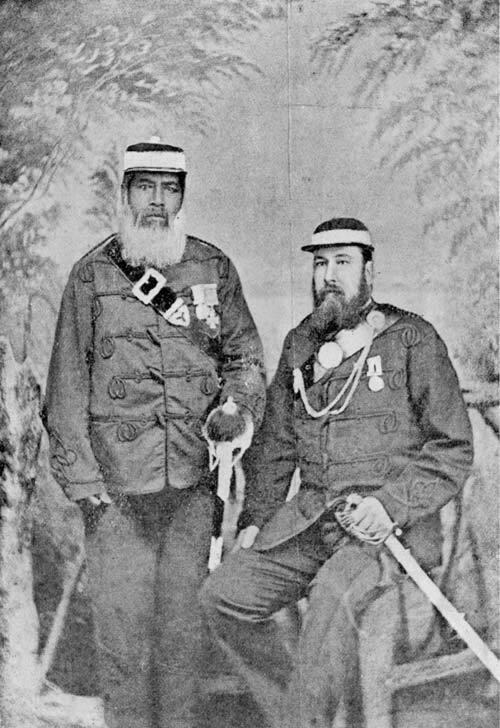 Rāpata Wahawaha (left) led Ngāti Porou forces in resisting the Pai Mārire influence on the East Coast, and then played a crucial role in the pursuit of Te Kooti after the prophet and leader returned to Poverty Bay in July 1868. Wahawaha led the Ngāti Porou forces in the capture of Te Kooti's defensive fortification of Ngātapa in January 1869 and then took a leading role in the pursuit into the Urewera over the subsequent three years. Thomas Porter became a good friend and close associate of Wahawaha during these fights. He served as the European officer on Wahawaha's expeditions and married a Ngāti Porou woman in 1873.